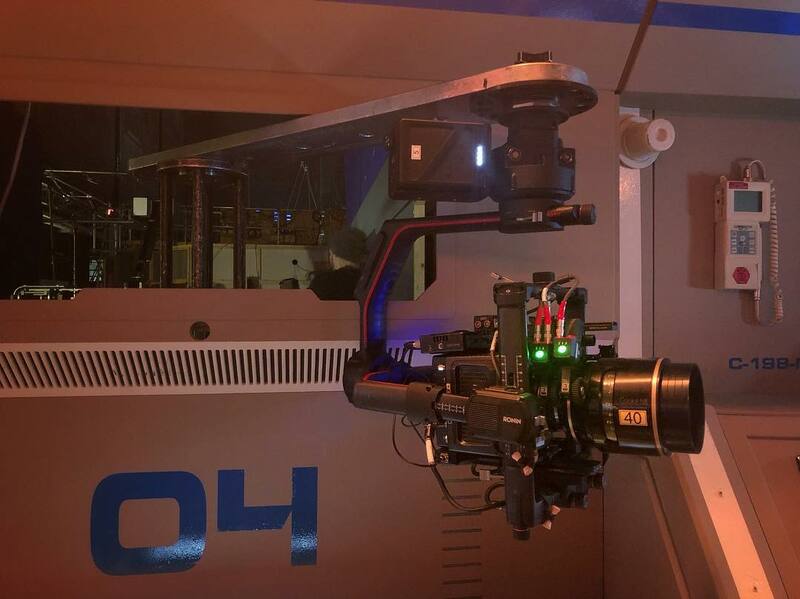 Production went into its final block – shooting the last two episodes of season 4 – this week, with it came lots of interesting behind the scenes photos, some potential casting news and the return of a fan-favorite character. Firstly, we regret to inform you that according to ComingSoon.net, The Expanse will not be arriving on Amazon Prime this February. We’ll keep you updated as soon as we find out when it will be arriving. Shortly after this post was published, Amazon announced that Seasons 1 – 3 would be released on Amazon Prime worldwide on February 8, 2019, with the series Season 4 to premiere in 2019 confirmed. The Production Office showed off how Breck Eisner directs some scenes. 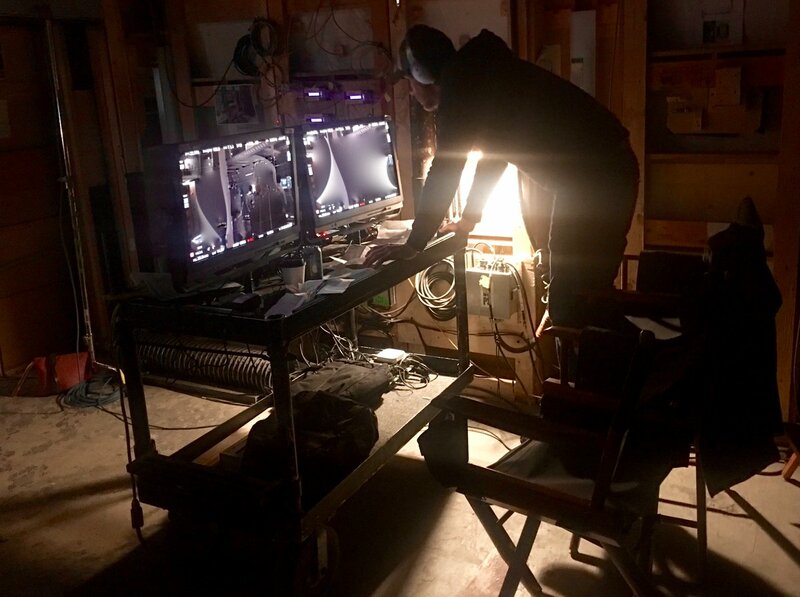 What is it that he’s watching on those screens, though? 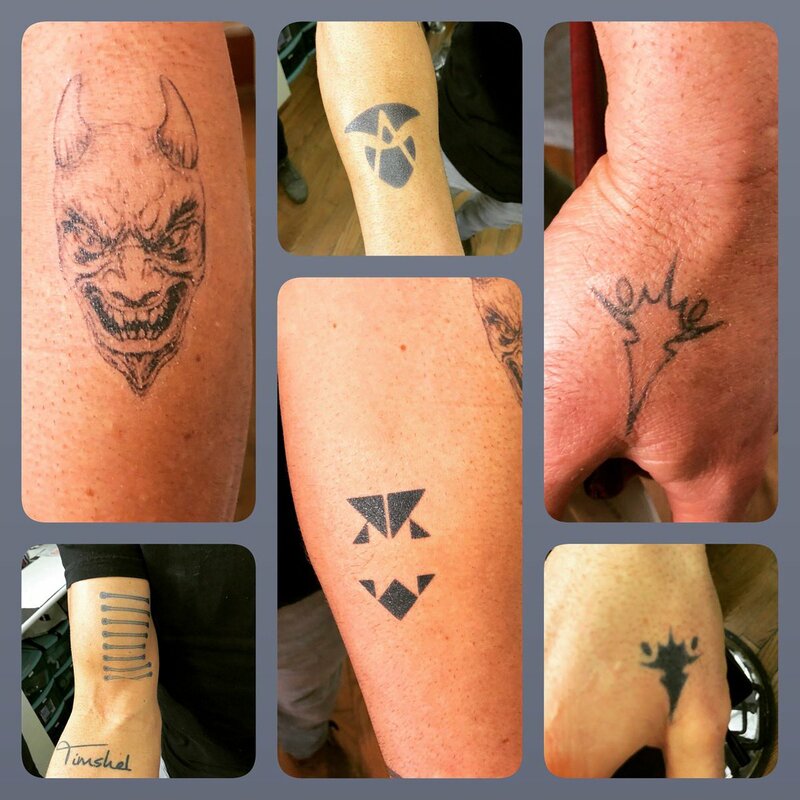 For those of you interested in Amos’s tattoos (we know there are a lot of you), Brian Hui shared this collage of most of the tattoos that he applies to Wes Chatham for the role. Glenton Richards of the writers room assures us that Season 4 is already looking incredible even without visual effects! According to his IMDb page, Canadian actor Clyde Whitham has been cast as Martian Prime Minister Nathan Smith (IMDb pages can be edited by anyone but we’re inclined to believe it this time). 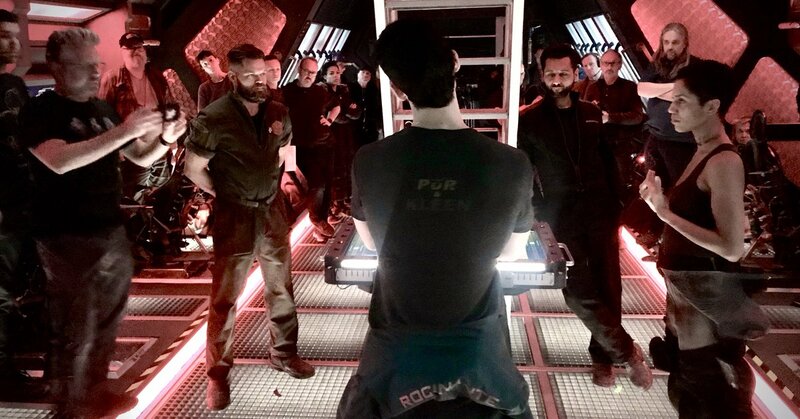 The PO reminds us that there are a lot of people involved in making The Expanse, highlighting stand-in Tommy Matejka and congratulating newly-promoted 2nd Unit 1st Assistant Director Drew McLean. Congratulations, Drew! 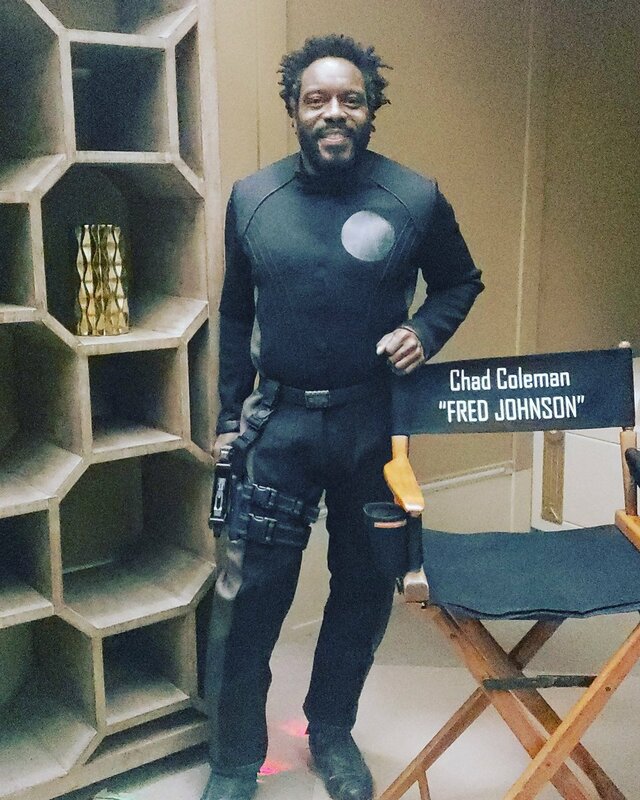 Chad L. Coleman (Fred Johnson) shared that he will be returning for Season 4 in the final episodes. 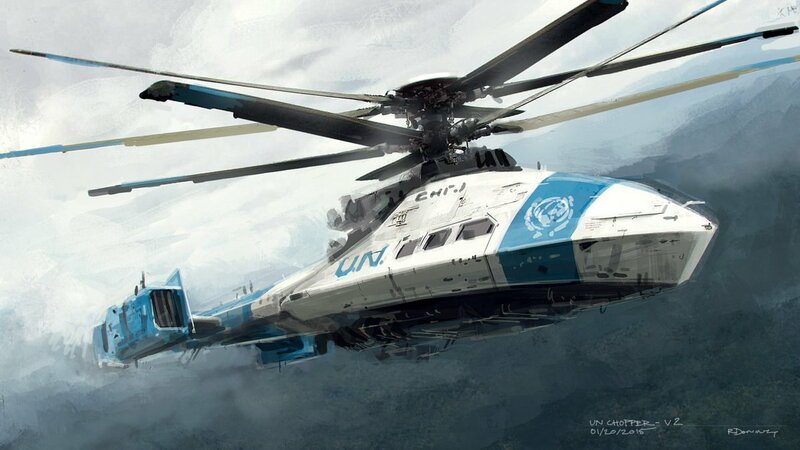 Finally, Chris Danelon shares more cool concept art from Season 1. If you’re in Europe, you might want to think about heading to Bonn, Germany on the 7th of June for Fedcon. Attendees now include Nick E. Tarabay (Cotyar), Cas Anvar (Alex Kamal), Dominique Tipper (Naomi Nagata), Frankie Adams (Bobbie Draper) and Shohreh Aghdashloo (Chrisjen Avasarala). Some of our people will be there and we hope to see you too! Anna Hopkins (Monica Stuart) released a short film written and directed by her to Youtube, check out “The Give and Take”. 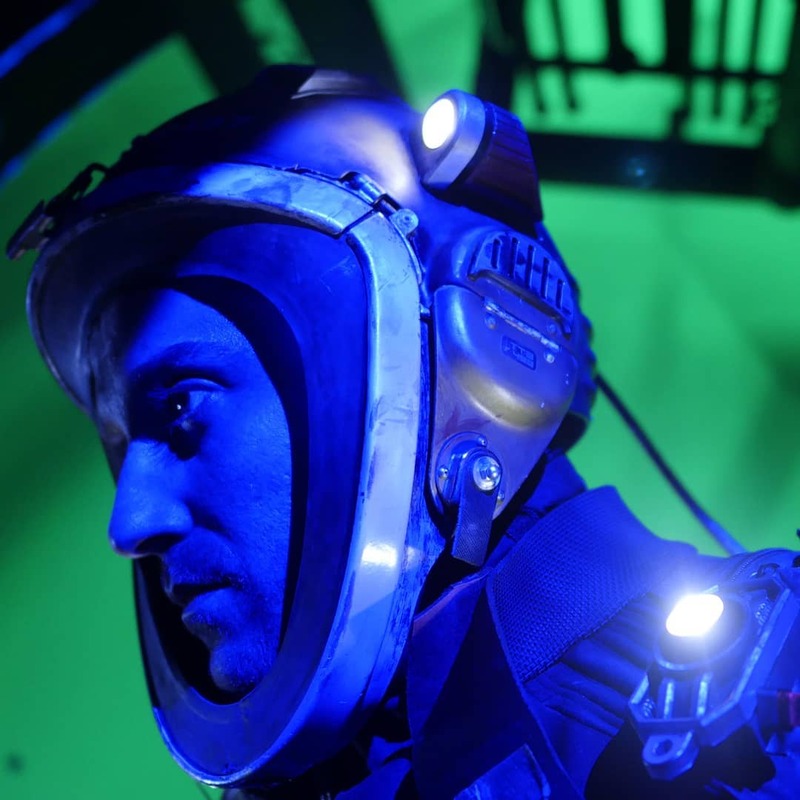 The Expanse Tabletop RPG’s Steve Kenson shares how power armor works in the game. The Quill to Live blog names Bobbie Draper as one of “Fourteen Female Protagonists Worth Your Time”. We wholeheartedly agree! Persepolis Rising topped Locus Magazine’s list of trade paperback bestsellers for January 2019 (data from October 2018). The community never fails to impress and this week was no exception, with lots of creative fan art, videos and more! Kels the Kat on Instagram drew everyone’s favorite pilot, Alex Kamal. Instagram user Virtuosy painted Detective Miller for their mother’s birthday. Lilibeth Wood on Instagram shared this Avasarala quote cross-stitch. The enigmatic Bora A. Kutlu teases his next project on Twitter. What could it be? Your guess is as good as ours. Hexephotolab shares this digital art interpretation of the Lady Rocinante on Instagram. Janalee Gruber on Instagram shared her protomolecule-inspired tiles and cups. Paine x MacTane shared their latest Expanse cocktail, the Marasmus. Also, if you’re interested in making non-alcoholic Expanse cocktails, check out this list. Molly Bee Reacts continues her series of reviews with Season 1 Episode 5. SF Debris goes in-depth on Caliban’s War in a series of 5 reviews, check them out. 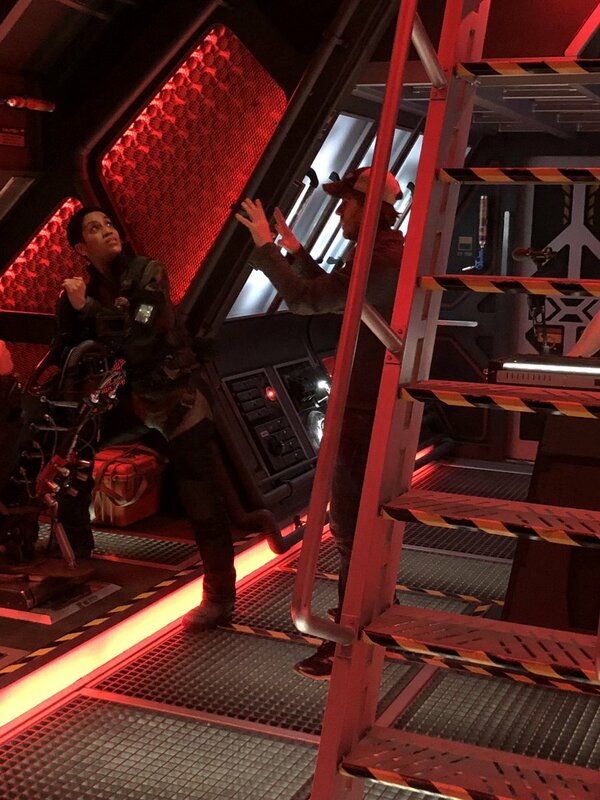 James Tullos makes the case for why The Expanse is the best adaptation of all time. One of our web designers, Seckela, is working on an Expanse-themed version of Asteroids, set to launch on this site very soon. Check out his progress so far. Finally, The Expanse subreddit passed 70k subscribers this week. Here’s to the next 70k, yam seng!